The Rochester, N.Y.-based manufacturer is partnering with Future Photon Initiative researcher Stefan Preble, associate professor of microsystems engineering and electrical and microelectronic engineering at RIT. Preble’s Nanophotonics Group is a cornerstone of RIT’s Future Photon Initiative, one of the university’s signature research areas. Precision Optical Transceivers is a manufacturer of optical transceivers and related active/passive optical components. The company is heavily involved with silicon photonics initiatives, particularly with low-power transceiver solutions. Bryce Tennant, CTO of Precision Optical Transceivers, anticipates a mutually beneficial collaboration with RIT. The Future Photon Initiative develops collaborations with commercial entities to advance photonic technology and innovations. 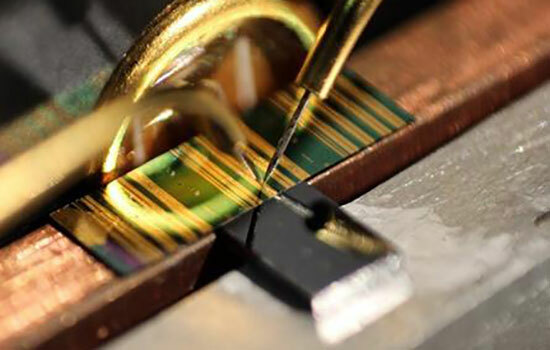 The initiative focuses on integrated photonics, scaled electronics, photovoltaics and detectors for the commercial and government sectors, communications, energy and the healthcare and defense fields.